ACCL » Hafer, Randall F.
Randy Hafer is a senior partner and Chair of the Construction & Infrastructure Projects Team. The team was named national Construction Team of the Year by Chambers USA in 2015 and again in 2016, the 2012 Team of the Year by U.S. News – Best Lawyers, and is consistently ranked Tier 1 nationally by Chambers, Best Lawyers and Legal 500 as well. Throughout his entire 33-year career Mr. Hafer has focused his practice exclusively on issues related to the construction industry. He has been involved in matters all over the United States and internationally on a wide variety of construction projects, including tunnels, mass transit systems, bridges and highways, wastewater treatment plants, airports, power plants, mining facilities, hospitals, office buildings, sports arenas, resort condominiums, universities and schools, manufacturing and processing facilities, industrial and chemical, ports, and military facilities. As a result of this experience, Mr. Hafer has a complete and thorough understanding of construction contracting practices, changes and claims provisions, the issues that can cause claims and disputes, and the issues that most concern the parties to a construction contract. AAA arbitration involving EPC contract for a cutting-edge plastic to diesel fuel plant in Cleveland Ohio. Issues include allegations of defective design and construction and interpretation of contract limitations on damages. AAA arbitration involving EPC contract for succinic acid plant in Louisiana. Issues include allegations of defective design and construction and delay. ICC arbitration for an international EPC consortium on a hydroelectric power plant in Panama, involving collapse of the headrace tunnel. Claims in excess of $400 million including repair costs, lost revenue, replacement power and other consequential damages. Complex geotechnical design and construction issues as well as interpretation of contractual risk allocation provisions. AAA arbitration lasting 41 days for U.S. and Israeli owner/developers involving construction of high-end condominium project in Las Vegas on a cost/plus, guaranteed maximum price contract. Claims for changes and delays and issues regarding in-scope/out-of-scope work. Complex proceeding where multiple subcontractors were joined in the case by a Rule 7 arbitrator. AAA arbitration in Chicago lasting five weeks for one of the world’s largest rail transportation OEM’s involving 10-year contract for the maintenance of over 400 locomotives for a major U.S. railroad. Disputes centered around early termination of the contract without cause and interpretation and application of related contract provisions. ICDR arbitration over a several month period in Puerto Rico for a leading international transportation/technology company on the $2 billion Tren Urbano metro system for San Juan. Claims by major civil subcontractor against design/build/operate/maintain contractor. Claims involved scope of work, delay, changes, extra work and inefficiency. CPR arbitration in Atlanta involving termination of a contract between a major telecom company and a large international engineering/construction firm for the outsourcing of engineering work. Multiple ad hoc arbitrations and DRB’s over an 8-year period on Boston’s Central Artery/Tunnel Project, aka, the “Big Dig” the largest construction project in North America on claims involving differing site conditions, delays, inefficiencies, scope of work, changes and extra work. Actual hearing days over that period number in the hundreds. The DeKalb County, Georgia Scott Candler Water Treatment Plant. Disputes Review Board member Low Lake Level Pumping Station Project and the Low Lake Level Pumping Station Discharge Aqueducts Project on Lake Mead in Nevada. Mr. Hafer focuses much of his practice on the prevention of construction related disputes through effective risk allocation and management and contract drafting. Mr. Hafer often works as a member of the owner’s project management team at the “front end” of projects to achieve these goals. He also leads teams providing clients with the Construction Group’s Project Counsel service. Mr. Hafer works directly with construction project participants to avoid disputes and effectively and efficiently resolve, on a “real- time” basis, those disputes that cannot be avoided. He is well-versed and experienced in negotiation, mediation, arbitration, dispute review boards and other forms of construction ADR. He is a panel member on the AAA’s roster of arbitrators and mediators, he is a previous co-chair of the American College of Construction Lawyers (ACCL) Alternative Disputes Resolution Committee, a member of the International Institute for Conflict Prevention and Resolution (CPR) Construction Advisory Committee, and the primary author of “Dispute Review Boards and Other Standing Neutrals, Achieving “Real-Time” Resolution and Prevention of Disputes” for CPR. Mr. Hafer has also helped create and has successfully implemented customized dispute resolution processes to fit the particular needs of a project when other more traditional ADR procedures are not working. *CV, BV, and AV are registered certification marks of Reed Elsevier Properties Inc., used in accordance with the Martindale- Hubbell certification procedure’s standards and policies. Randy Hafer was born in Camden, New Jersey, and raised in Georgia, Florida and Texas. He attended the United States Naval Academy for two years, and spent his active duty tour on a destroyer in the Mediterranean. He resumed his education at Georgia State University receiving a BS with honors in criminal justice. Between college and law school Mr. Hafer was a Fairfax County Virginia police officer. 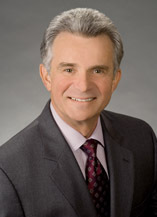 After graduating from the University of Tennessee College of Law in 1983, he went to work for Smith Currie & Hancock in Atlanta. In 1998, he moved a small group of partners and associates to Kilpatrick Stockton where he started the Construction & Infrastructure Projects Team. He remains the chair of that team today. Randy and his wife Cindy live in Marietta Georgia. They have five children and four grandchildren. Design-Build: How Does It Work In the Risky Business of Underground Construction? Differing Site Conditions: Who Pays for the Unexpected? Will the Construction Boom Continue in the Arabian Gulf Region? Dealing With Differing Site Conditions: Who Really Owns the Ground? Dispute Review Boards and the Avoidance of Litigation: Is There Room for Improvement?